Joseph's mother gave birth to him in a stable. She had been driven from her home because of the debts of her recently deceased husband. Joseph's father had been generous but not wealthy. He had guaranteed the debts of many of their poorer neighbors and when they had failed to pay, their debts became his debts. When he died unexpectedly, Joseph's family no longer had any means to support itself. Joseph's childhood was, at times, painful. He was not a good student and was given to staring vacantly into the distance. His teachers could not understand how Joseph could study and, yet, fail his exams. Looking back, it seems apparent that Joseph had some form of learning disability but at the time it was easier to call him ignorant and unsuitable for any profession that involved thinking. It was Joseph's earnest desire to be a monk--even though he had been apprenticed to a cobbler--and so he applied to a monastery. He was rejected because of his apparent ignorance and inability to pay attention for longer periods of time. Undeterred, he applied to yet another monastery. They accepted him and tried to work with his difficulties at learning but ultimately dismissed him when they could not find a way to work around his challenges. Finally, he applied to the Franciscan monastery and was accepted. 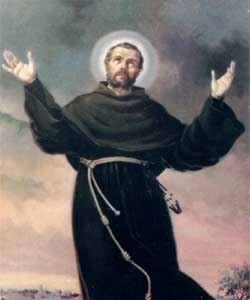 This was hardly an easy calling but the Franciscan brothers were willing to accept that he had a deep desire to live the life of prayer and devotion. They recognized a call upon Joseph's life that transcended intelligence or education. Joseph was known for being given to moments of ecstasy and deep contemplation of the Lord he loved and followed. One gift only made him more unpopular with some: he seemed to be able to discern the hidden sin in a person's life. He would directly approach them and tell them that they smelled and needed to go be cleaned. He would then direct them to the confessional at the local church, chapel, or monastery. He was not allowed to hear confession or preside over masses because of his lack of education and knowledge but he was known for healing people who came to him seeking aid. 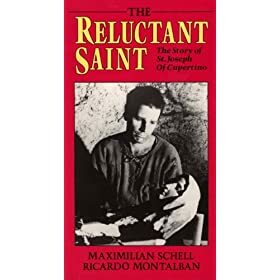 His daily life soon became inundated with individuals recognizing holiness and calling in his life that his ignorance could not diminish. Joseph was far from intelligent but it didn't matter to the people who came near to him because he loved them and wanted to help them. Joseph was pushed around throughout his life by people who thought they knew better than him because of their comparatively greater intelligence. His final years involved much travel because of the throngs of people who constantly came to him seeking his love and healing. Joseph was content to stay among them but his superiors moved him around because they detested the scenes that were created around him. When Joseph died among his brothers and sisters, he refused their request that he heal himself saying, "No! God forbid!" He, then, comforted them with soothing words before passing on to his eternal rest.